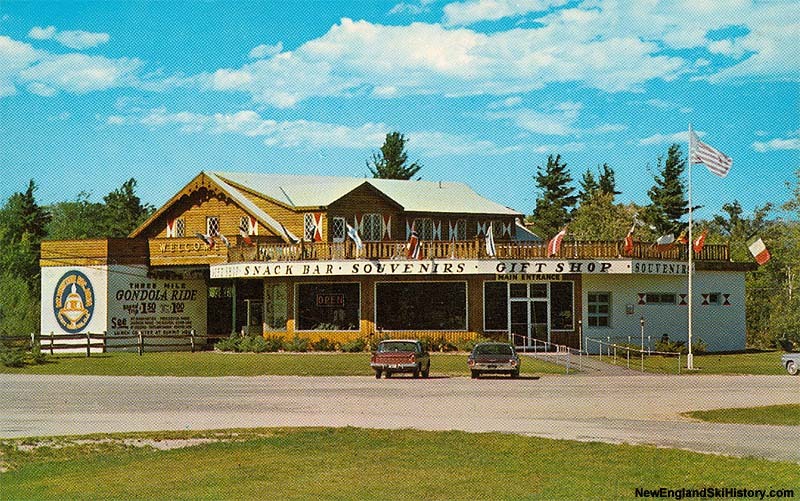 With areas further north on Route 16 rapidly expanding, plans were put in place to grow Mt. 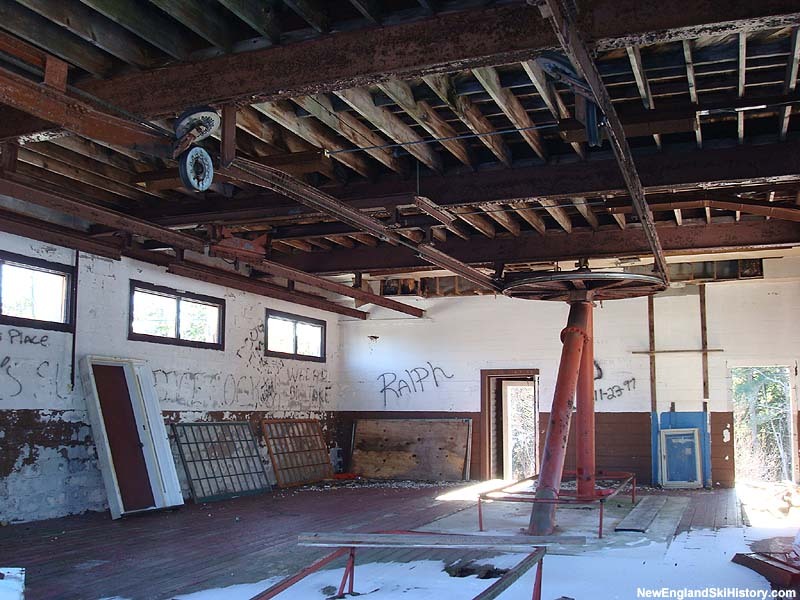 Whittier from a small, surface lift operation into a major ski area. Plans were announced as early as 1959, when the ski area planned to open a "Bubble lift - a fantastic glass enclosed ball-shaped structure similar to the sky-line ride around California's Disneyland." 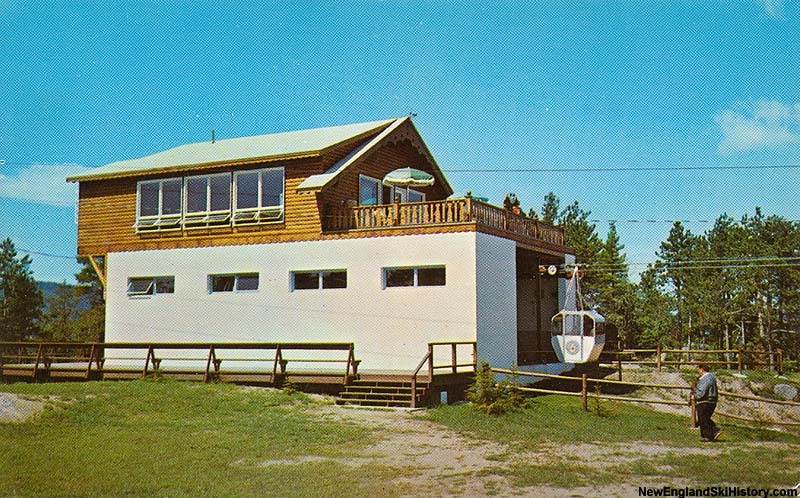 Plans eventually changed to a four person gondola in the early 1960s. 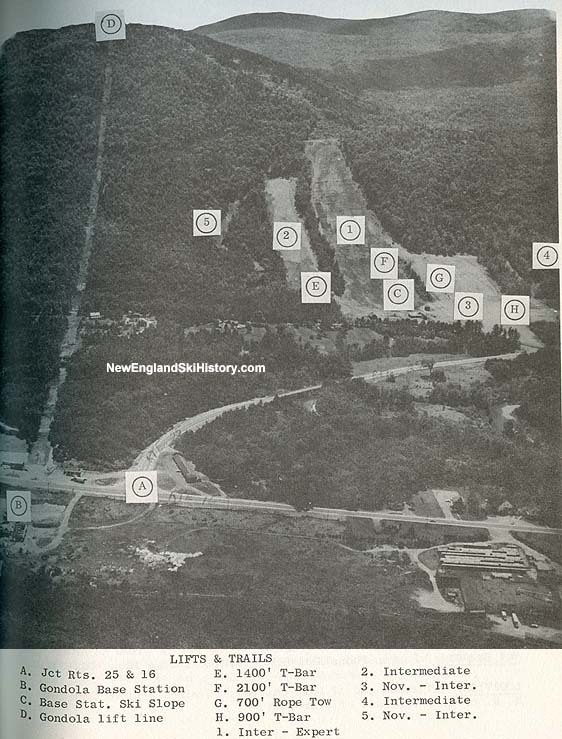 In 1962, construction started in conjunction with a program with the State of New Hampshire Recreation Plan. 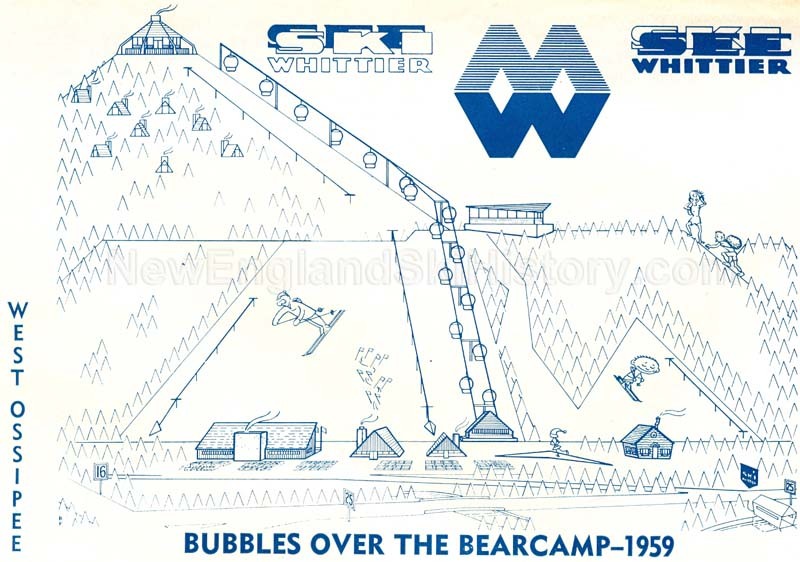 In 1963-64, the 6,200 foot long by 1,300 foot vertical Mueller gondola opened, dramatically increasing Whittier's vertical drop. Climbing steeply up the side of Nickerson Mountain, the gondola served some very steep terrain (initially two new trails and one new slope). 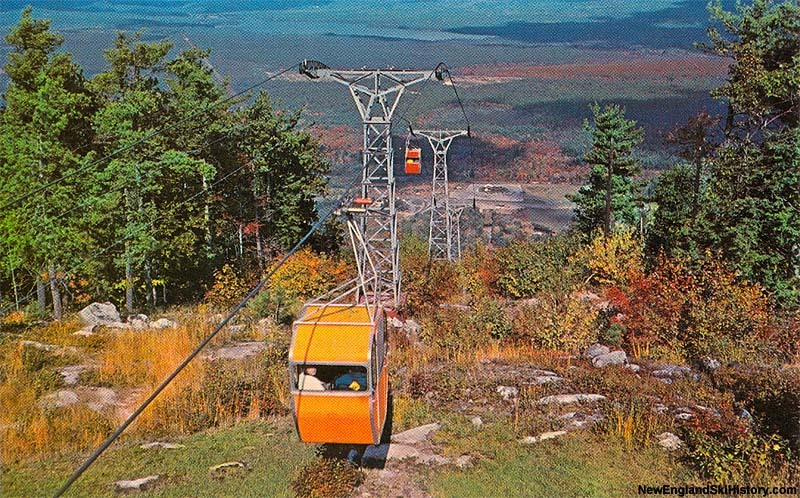 The bottom terminal of the gondola was constructed east of Route 16, resulting in gondola cars crossing over the highway (for off season scenic rides). 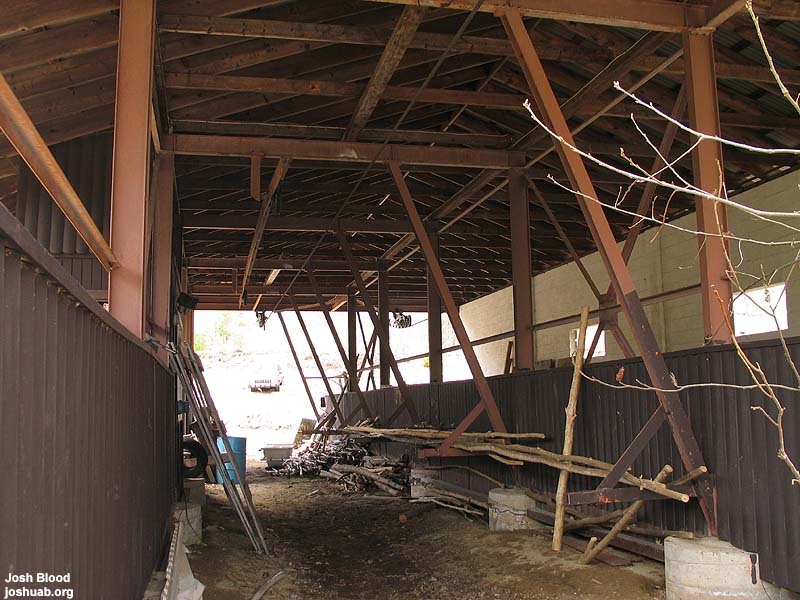 A second loading terminal was constructed at the foot of Nickerson Mountain for skiers. 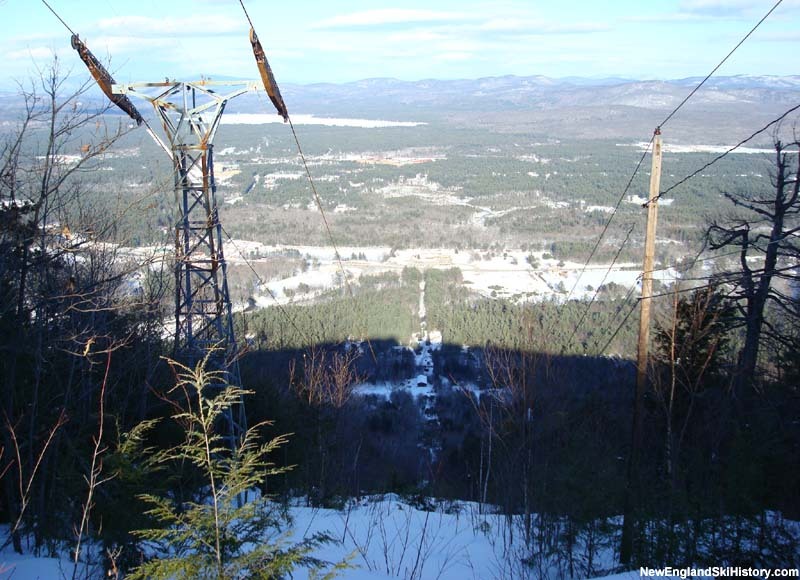 Due to the steep nature of the terrain, conditions could be less than optimal. 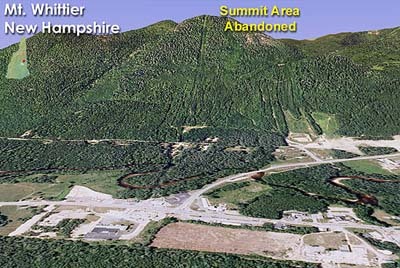 Due to a lack of snowmaking amongst other things, the area closed in 1985. 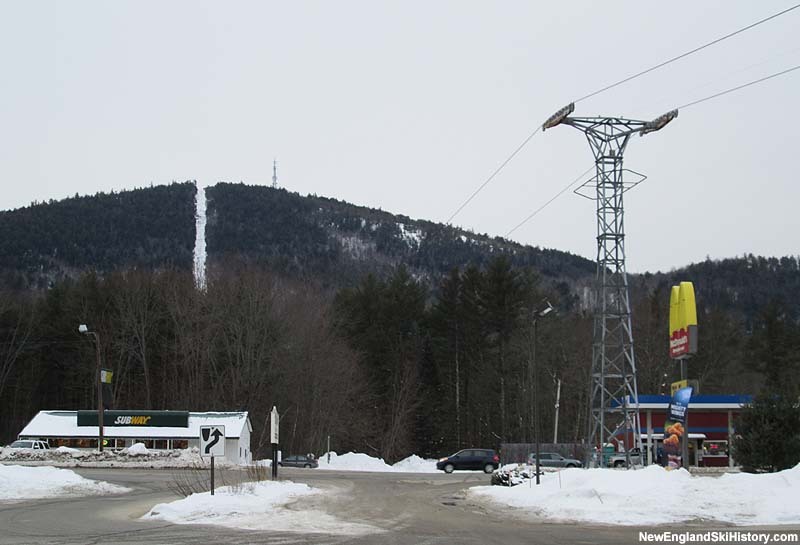 The gondola towers and haul rope are still standing as of winter 2014.